Thanks to Lenny Raymond for tipping us of to this frightening name:Child Predator Hands From the product description…Predators are hunters who look for trophies of other dangerous species for sport such as humans and other aliens. 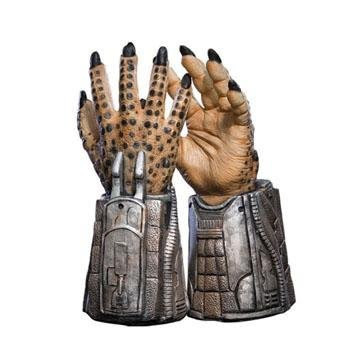 This latex Predator Hands costume product has metal look gauntlets and knife details. Add this to your child’s Predator Mask for a great movie look! I don’t think we’ll see these on Oprah’s O-list anytime soon.